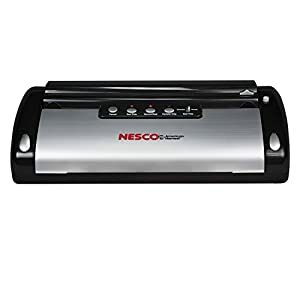 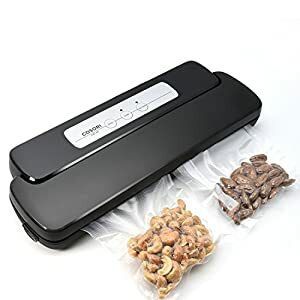 Tags: black, food saver, food sealer, food sealing, food sealing machine, foodsaver v2244, FSFSSL2244-000, sealing machine, sous vide, sous vide cooking, sous vide machine, V2244, vacuum sealer, Vacuum Sealing, Vacuum Sealing machine, Vacuum Sealing System. 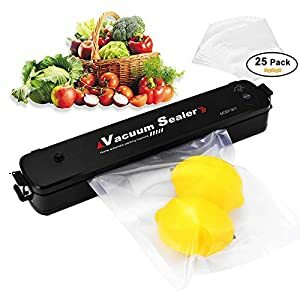 -Sealing System foodsaver v2244 Starter kit includes; 11″x10″ Heat Seal Roll, Quart Heat Seal Bags (3), Gallon Heat Seal Bags (2), Accessory Hose. 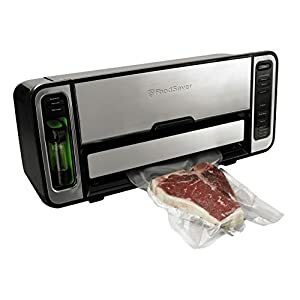 -Compact size with manual operation,Patented, removable, dishwasher-safe, drip tray. -CrushFree Instant Seal helps protect delicate foods during sealing process. 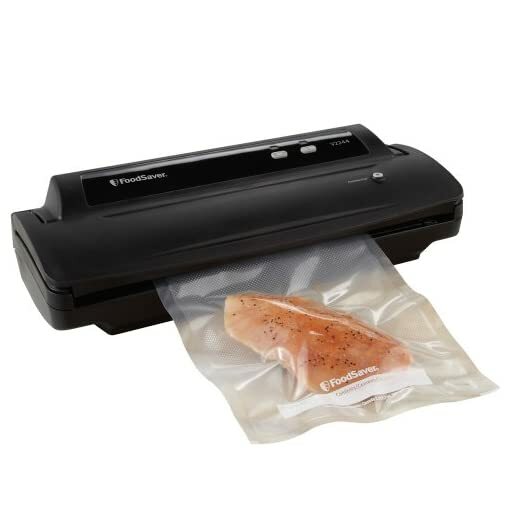 -Accessory port and hose vacuum seals canisters and marinates food in minutes. 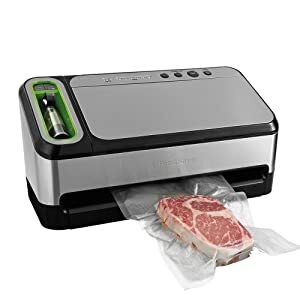 Sous vide is French for “under vacuum.” And yes, it’s a very confusing name. 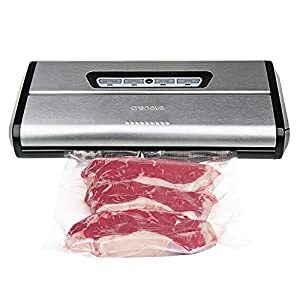 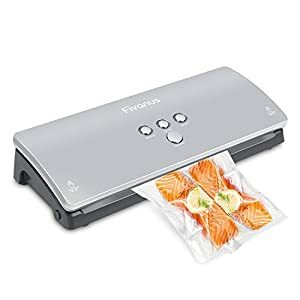 Because in fact, you don’t need a pricey vacuum sealer—or even an inexpensive countertop one—to successfully cook food at a low temperature in water. 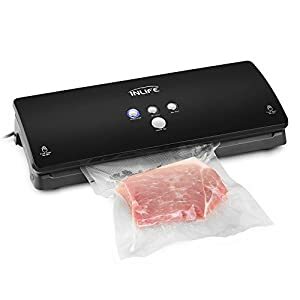 To get started with sous vide, regular old ziplock-style bags will do just fine. 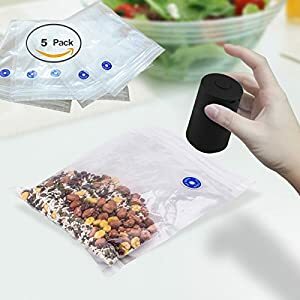 In fact, in some applications they are preferable to vacuum-sealed bags. 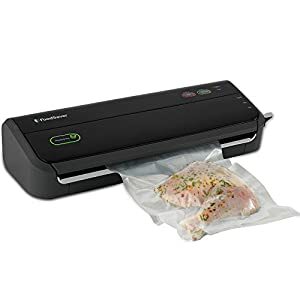 Plus you can use high-grade bags intended for vacuum sealers without sealing them. foodsaver v2244 is your new vacuum sealing system for sealing any type of foods.